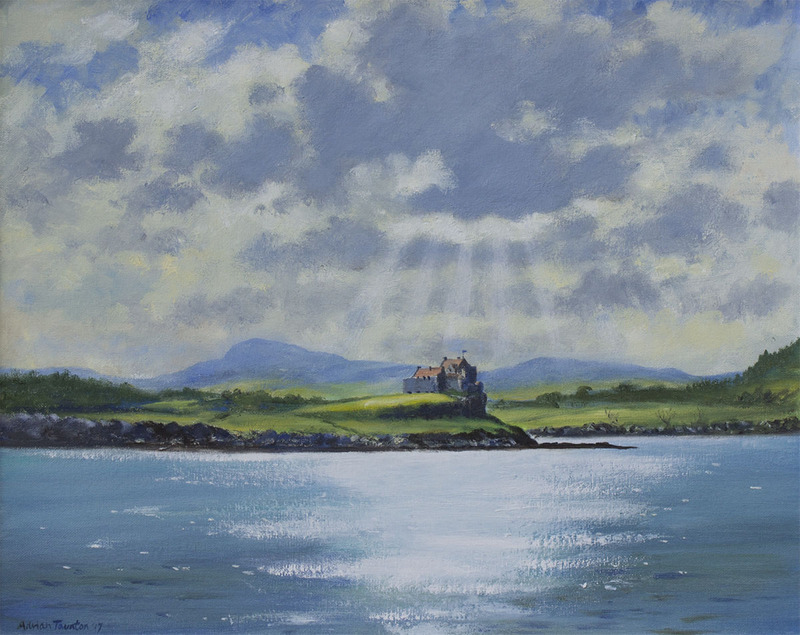 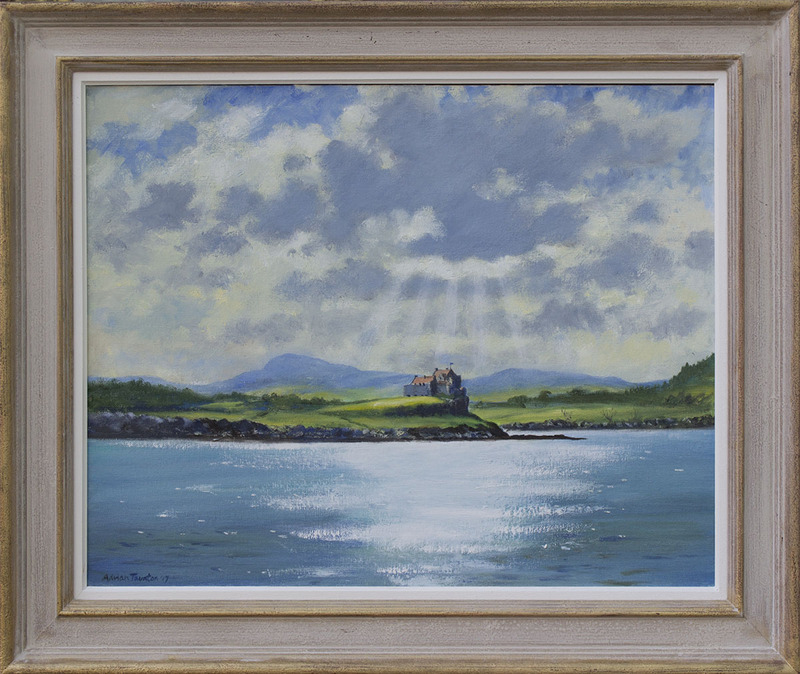 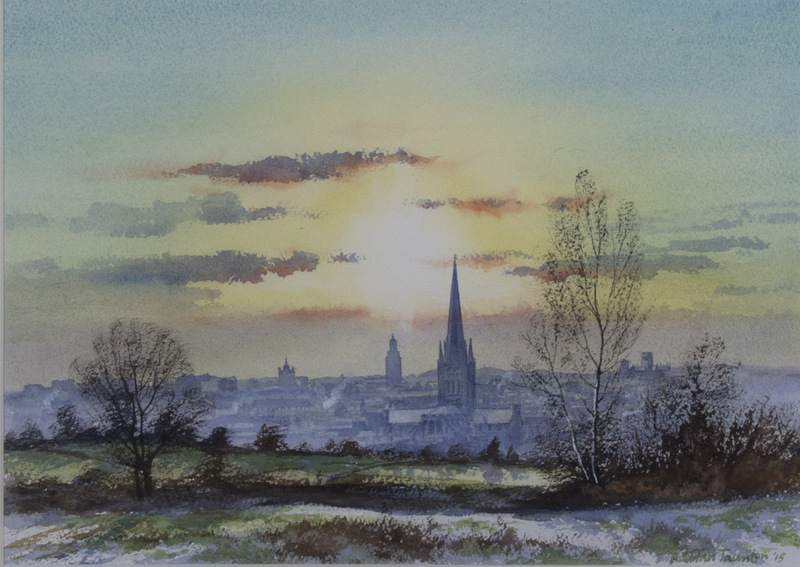 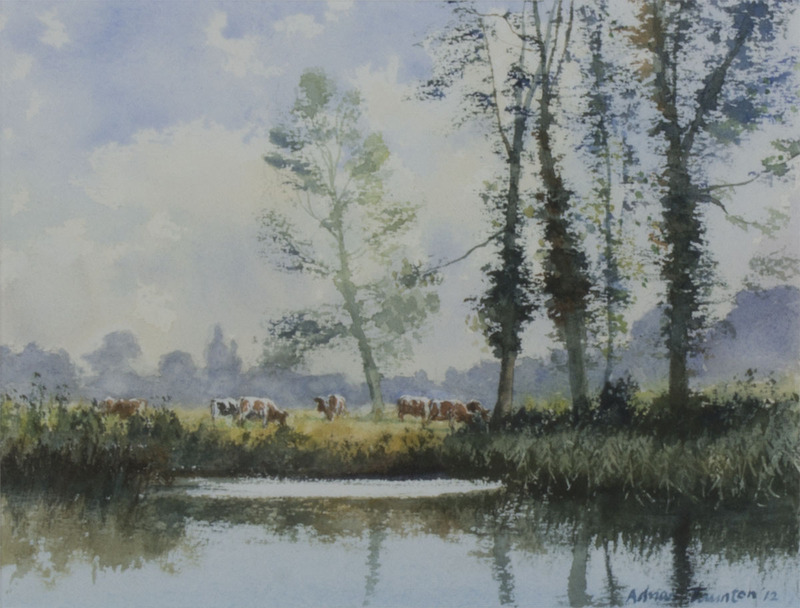 Born in 1939, Adrian Taunton is the latest in a family of painters stretching back to William Taunton (1809 – 1898), the last known pupil of David Cox and an occasional collector of John Constable. 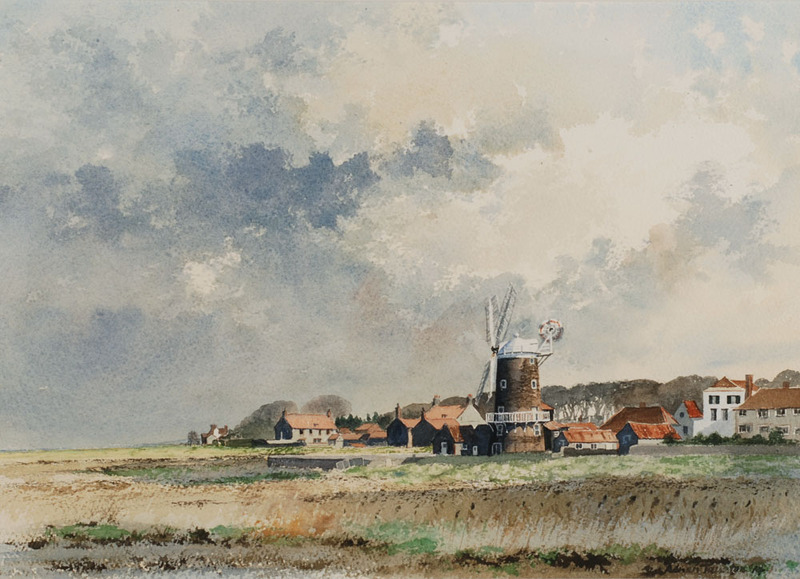 Adrian was educated at Norwich School and Gonville and Caius College before joining Unilever where his early career took him to West Africa and London before becoming MD of the poster company, Mills and Allen Ltd. 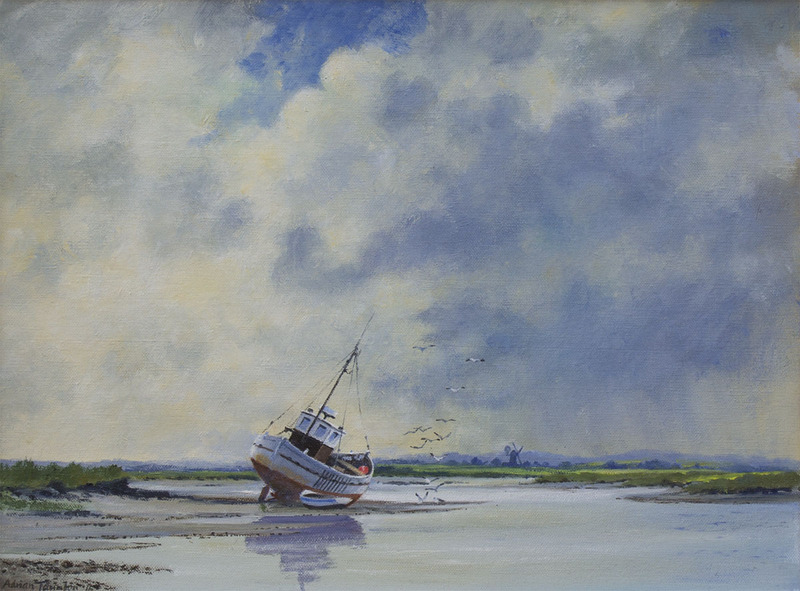 Eventually, he returned to his native Norfolk where he began to paint. 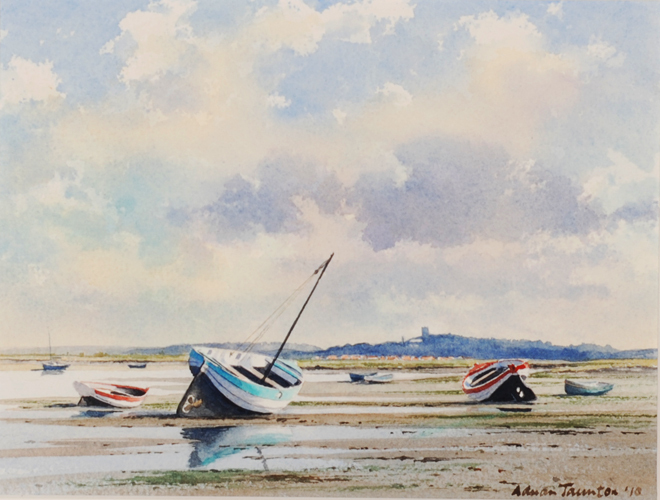 Although he has had no formal art training, Adrian’s instinctive feel for composition and colour soon put his paintings on the map and his work has been shown in numerous one-man and mixed exhibitions in London, East Anglia and other parts of the country, including the R.I. and R.S.M.A at the Mall Galleries, the London Fine Arts Fair at the Barbican and the 20th Century Art Fair at the Royal College of Art. 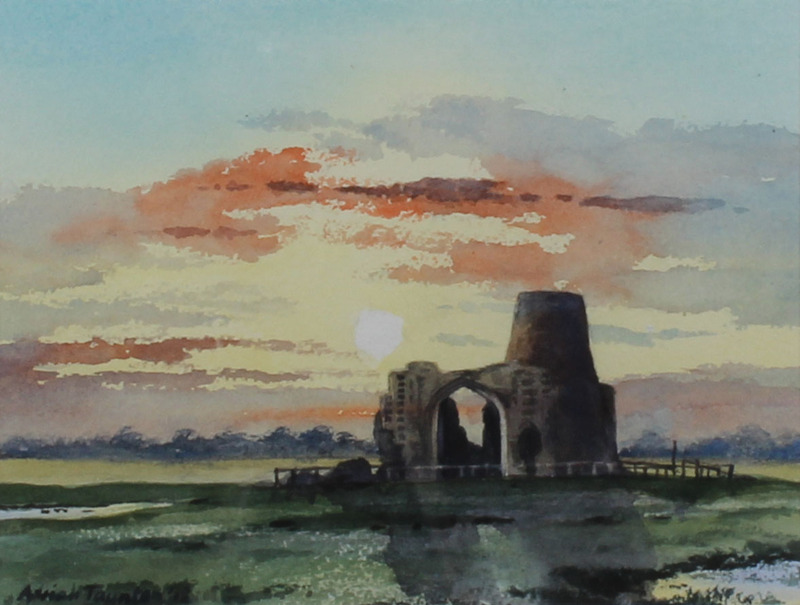 Twice his entries have reached finalists’ exhibition of the Sunday Times Watercolour Competition. 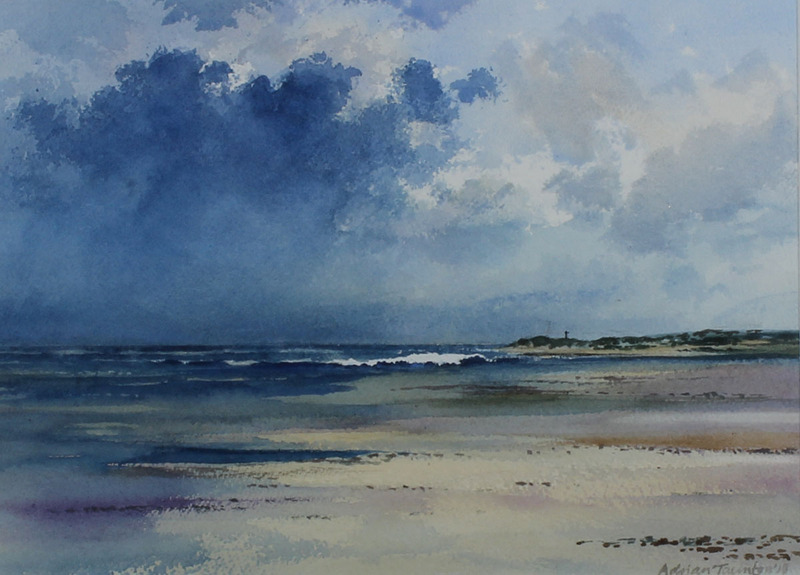 Recently he was commissioned by the Ralph Lauren Corporation in New York to produce a series of marine paintings for one of their new stores overseas. 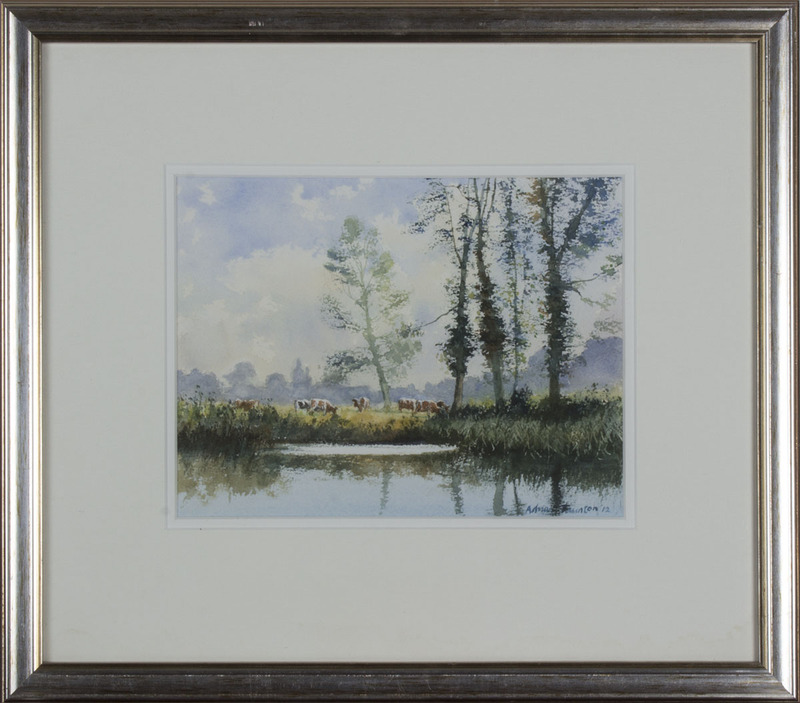 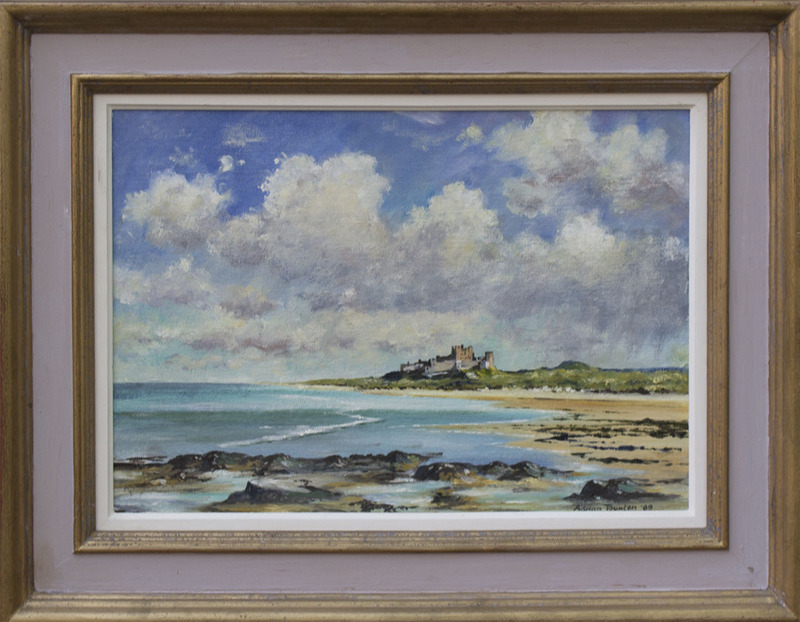 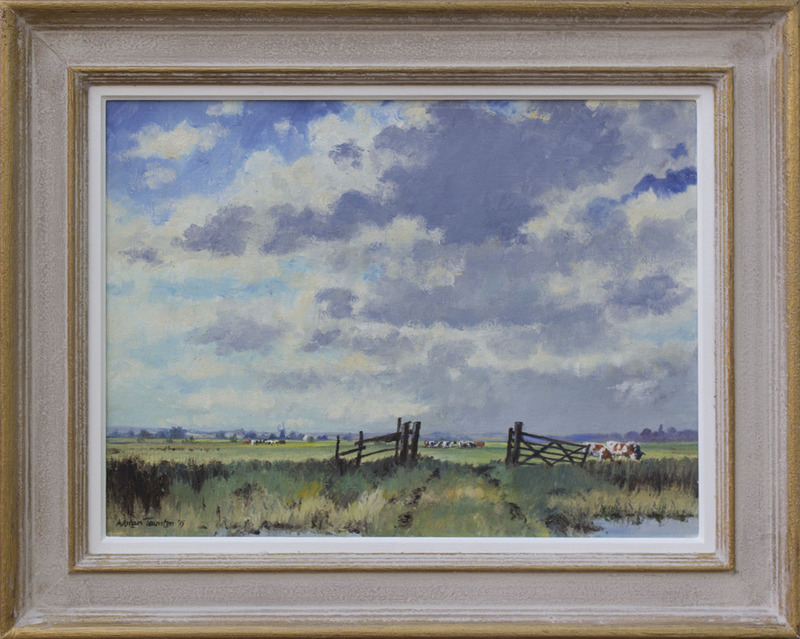 Adrian Taunton has been steeped in the work of the great East Anglian painters from childhood and he cites the late Edward Seago, a friend and mentor of his father, as one of the greatest influences on his artistic awareness. 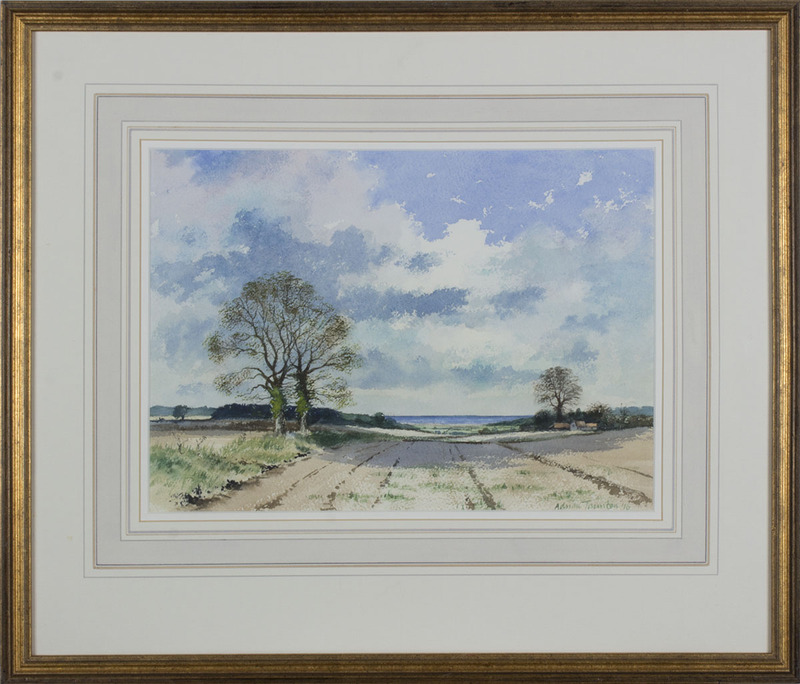 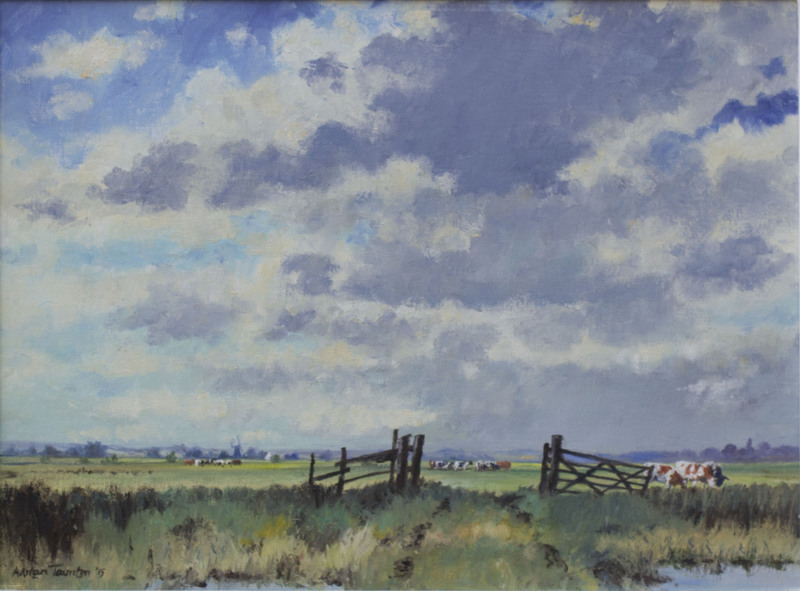 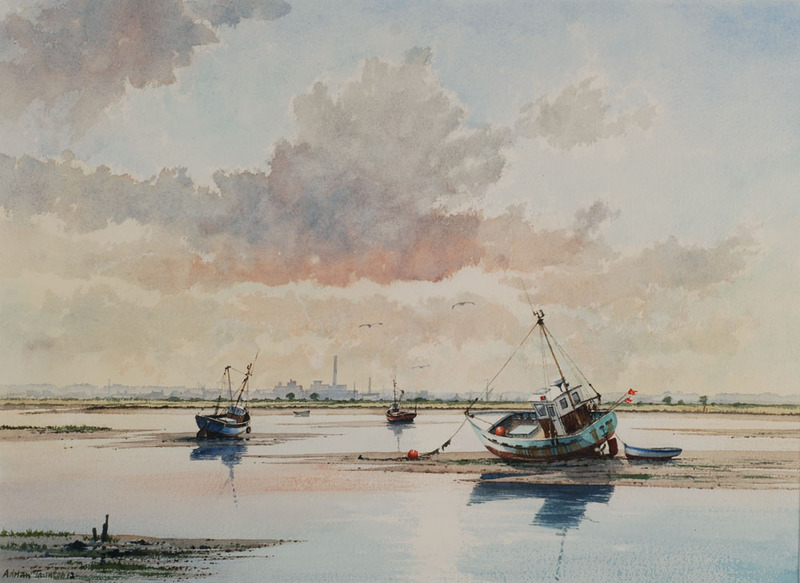 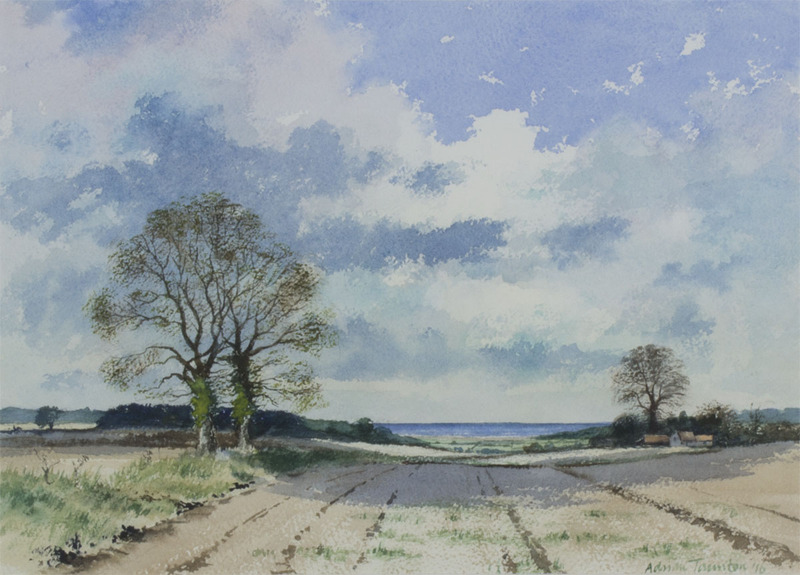 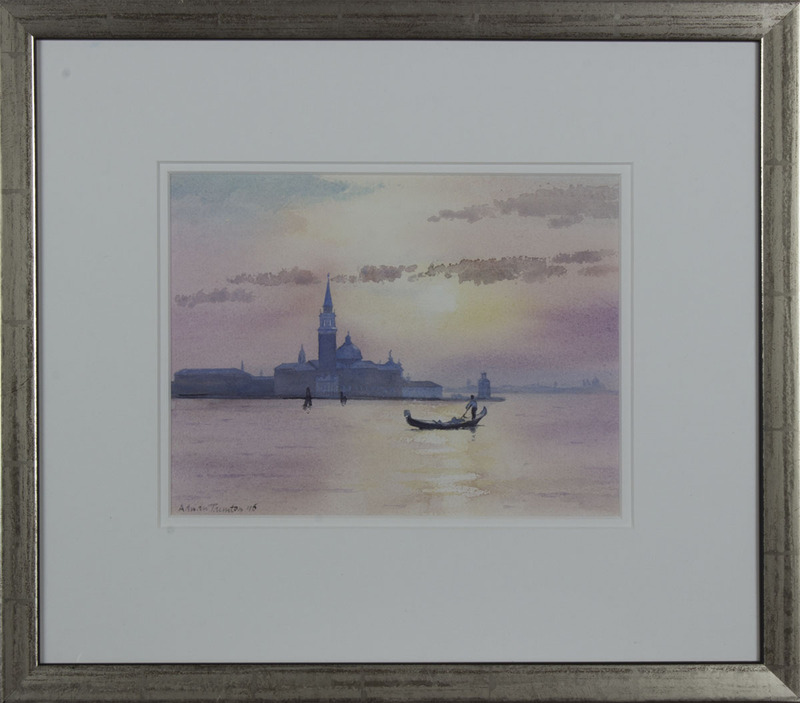 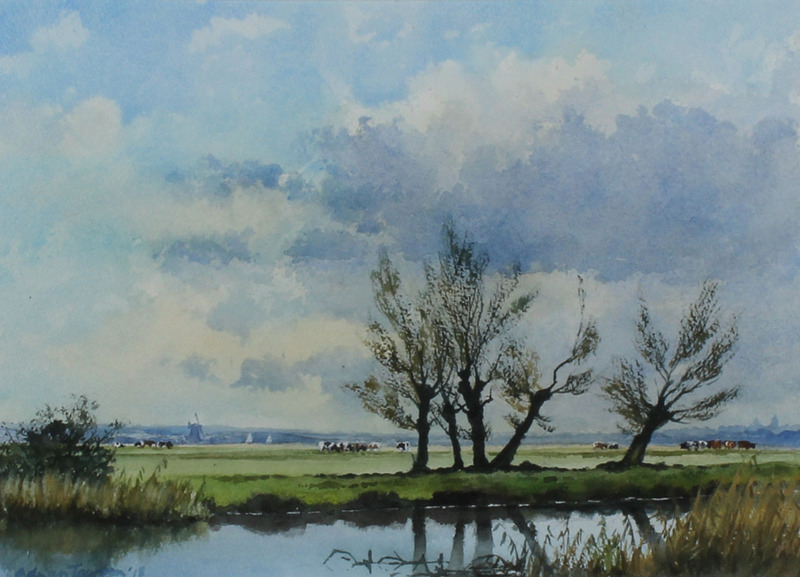 Working in both watercolour and oil, his landscapes and marine paintings are evidence of his deep appreciation of East Anglian scene – dramatic skies, open horizons and the particular play of light on the atmosphere in eastern England. 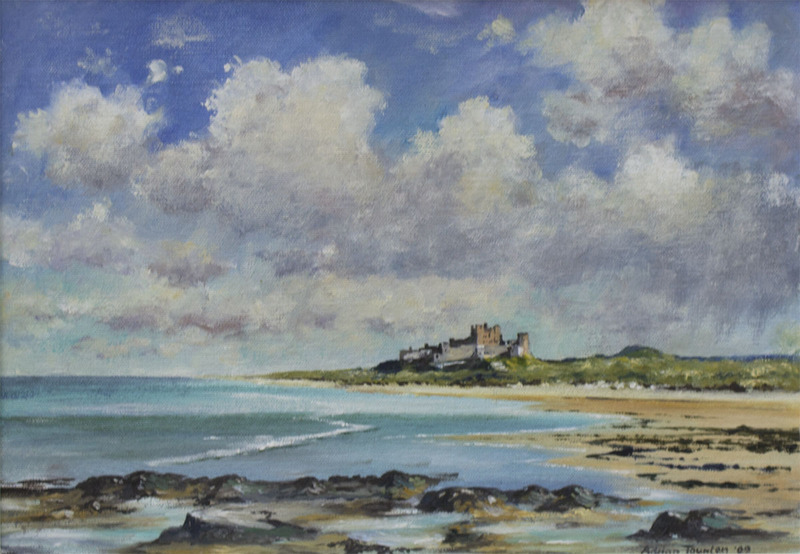 His chosen subjects extend further afield, however: to the hills and lochs of northern Britain; or south to France and the Languedoc; and across the Alps to the canals and lagoons of Venice. 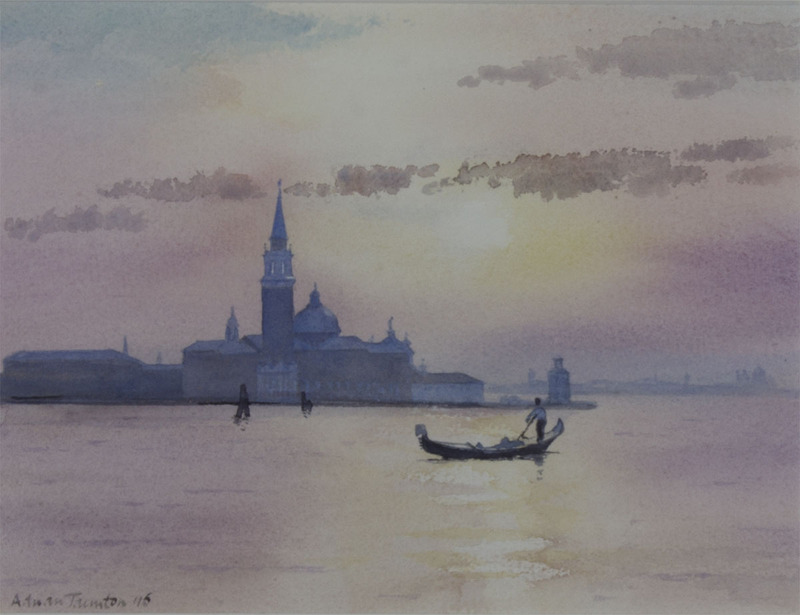 The interplay of light and water always feature strongly in his work at home and abroad. 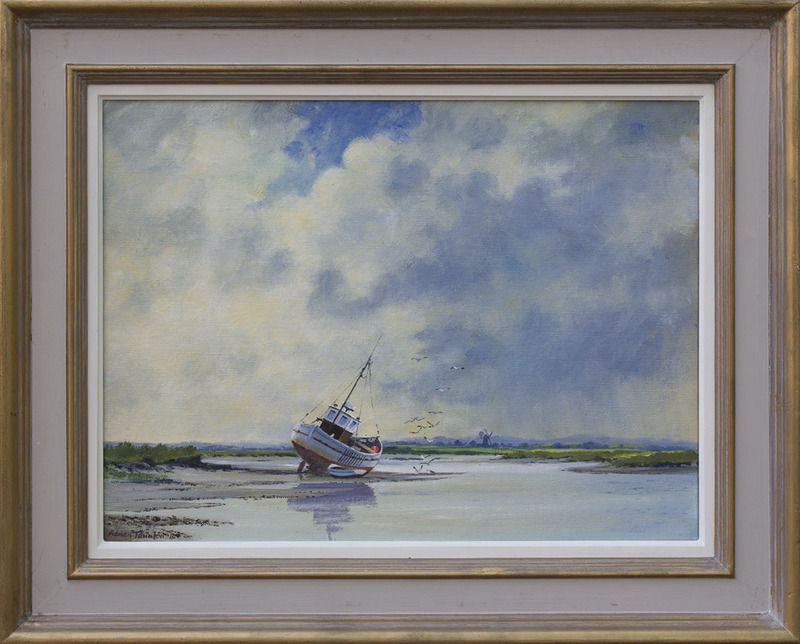 His other interests include classical music, cooking and boats. 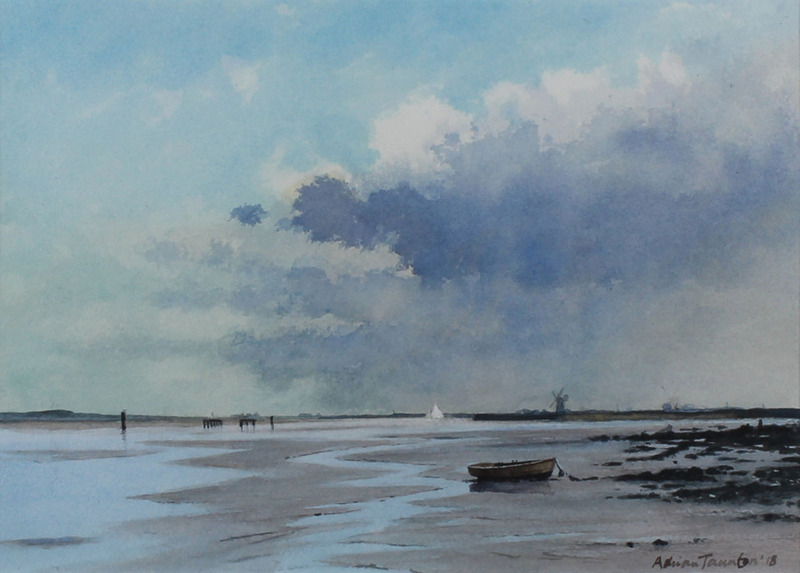 He still rows and regularly coaches rowing on the river for much of the year, but during the summer he likes to relax by sailing his own boat off the North Norfolk coast.